Up to 1800MB/s Write | 1800MB/s Read, IOPS Read/Write 15k,220K, Gen 3. x4 NVMe 3.0, 5 Year Warranty. The Intel SSD 660p is the first QLC-based client PCIe SSD in the industry, continuing Intel’s leadership in flash cell technology and quality manufacturing. 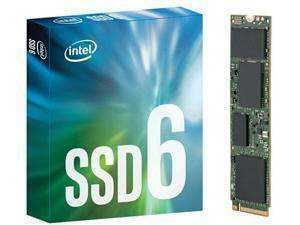 The SSD 660p finally fits low-cost and high-capacity into one drive.